New Year, New Goals, New Food. It’s been a little over two months since our last post, and Jamey and I have resolved that part of a Sunday afternoon activity should include a blog post per week. (Also, happy 3-month anniversary to us!) We hope to increase the quantity of blogging throughout a week, of course, since it really does set the tone and inspires us for our weekly flavors to consume to write about for you. In the meantime, one a week is the new goal. 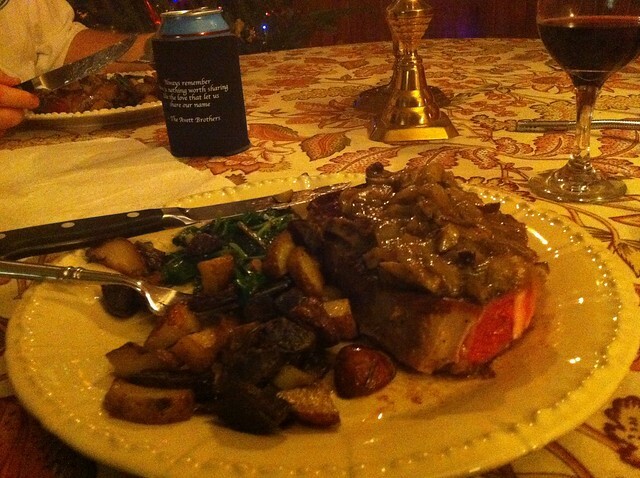 Steak sous vide with black truffle butter under sautéed onions, with trio of mushrooms, wilted spinach side and local potatoes. 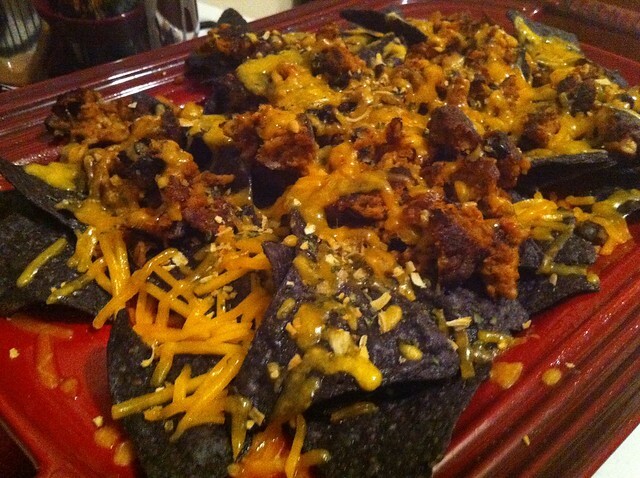 Nachos with black bean burger, sharp cheddar cheese and blue corn chips. 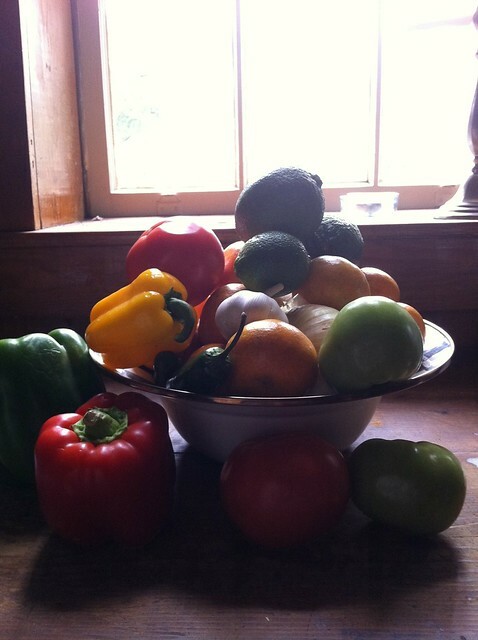 A multitude of vegetables and fruits from The Vegetable Bin. February: We have been meaning to try Charleston’s “Most Romantic Restaurant,” so it’s fitting that we try Fulton Five for Valentine’s Day. March: Tyler and Chip are coming out to Charleston for the Bridge Run, and both want to go to Husk. While we’ve eaten there before, we are determined to make it a better dining experience – and think it will be – since we are going late in the evening, and hopefully the service will be less rushed, more attentive, and the food all around more divine. April: Biggie’s. We have been meaning to get to this place for months, MONTHS, since it is not only in the neighborhood where we want to move but also because they have $5 meatloaf Mondays. I mean, meatloaf…that’s $5…on a Monday when you don’t want to cook…it clearly suits us. We’re giving it the month of April because we want to make sure to make the effort of getting to Biggie’s anytime before the end of April. May: The Old Village Post House. This is one of Jamey’s and my favorite restaurants in town, and with its lovely location and charming patio, we’re sure we’ll get there for a special dinner sometime between May and September. It’s a standby that has always given us a wonderful meal, so I can’t wait to return. 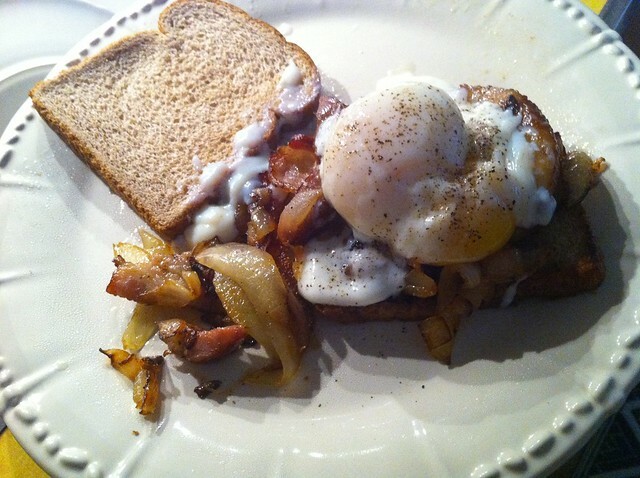 June: Jamey’s birthday month, and he has requested that I surprise him with this meal. We had such a fun time wining, dining and partying last year that it’ll be hard to top…but we’ll see what I can muster. While we may not eat here for a birthday per se, I still would really love to try the Wild Olive. August. Dog days of summer…I already am sweating. This might be a shaky month for us, especially if we really are going to move and therefore need to use the dining out budget instead for new home necessities. Therefore, we’ll keep this month easy and aspire to eat at another favorite we adore, Bowens Island Restaurant. You cannot beat the view at any other restaurant in Charleston, and it also is a sentimental favorite of mine: Jamey took me there when I accepted my first job in this town, which resulted in me finally – permanently – moving to Charleston. Whenever we eat there since, that early rush of happiness so easily returns; it has always guaranteed a delicious food coma that has us waddling home, happily, gleefully and with not one bit of overeating fried oyster regret. September: Frank’s. September is Jamey’s favorite month at Pawleys Island, and this restaurant is supposedly excellent. We last ate at Frank’s Out Back, the behind-the-restaurant brother, with family and friends to celebrate our engagement. We’re excited to try the inside restaurant after having such a great occasions out back. October: Our anniversary month, so we will probably make this a festive occasion to celebrate the one year. McCrady’s, the cousin of Husk, will probably be our destination. I’ve heard it’s a completely different experience than Husk, so I am excited to see what Chef Sean Brock will have for us there. November: Hank’s is supposedly the best seafood restaurant in town, so why not cast off for a month that’s typically devoted to the bird. I’m sure we’ll go here at some point, so it’s sweet to anticipate dining at this restaurant that probably won’t be two blocks from our house any longer if moving is in our future. December: Next Door. While we haven’t eaten yet for dinner at its sister restaurant, Red Drum, it is by far our favorite brunch in town and high on our list of future dining destinations. Next Door, literally next door to Red Drum, has achieved quite a bit of buzz since its opening this past fall, so we’re interested to try it out sometime this year. This isn’t rigid by any means, since who knows what this year has in store. Still, eating out for a genuinely good meal once a month is something we hope to achieve, since buckling down with our spending and buttoning up on our saving is this year’s goal. On that note, here’s to a year of great eating that we can’t wait to share with you – both here and with us at our table. Love this idea! And that you have already planned almost a year’s worth of restaurant adventures :). I had no idea that y’all had a bad experience at Husk before….hopefully this time will be better! I think it will be! Really, I think the big fault then was the service. FIG just set the bar so high when we went with you, so here’s to hoping Husk blows it out of the water because you’re in town!